Masterpiece Dolls is a Rhode Island-based company that was founded by Shirley Blackall in 1985. 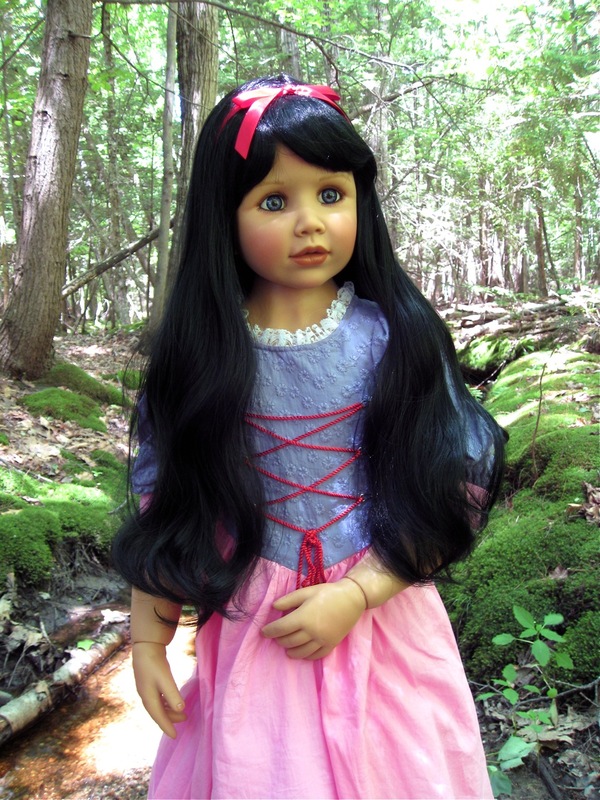 The company has produced vinyl, porcelain and silicone-vinyl dolls in all sizes and styles, but is currently best know for its life-sized vinyl child dolls. The vinyl children have been sculpted by a variety of artists over the years, including Monika Levenig, Susan Lippl, and Monika Peter-Leicht. 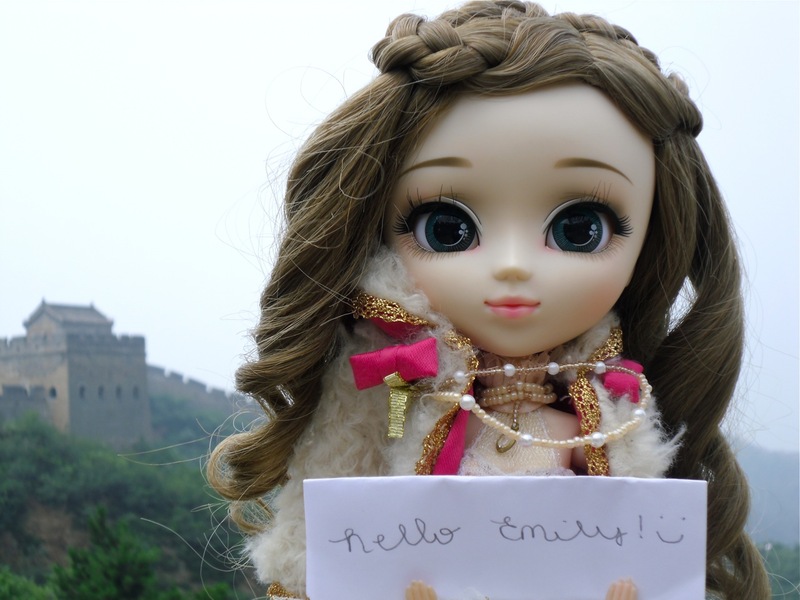 Masterpiece dolls is great at reaching out to budding artists and is often adding new sculptors to their list. I had some brief first-hand experience with this when Masterpiece produced one of my own bizarre clay babies in vinyl for the German market. 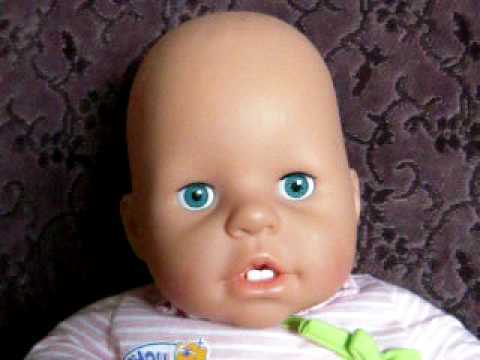 I think this was the ugliest and least popular doll ever made, but it was a neat experience...and probably a good story for another time. "Snow White" by Masterpiece, $239. 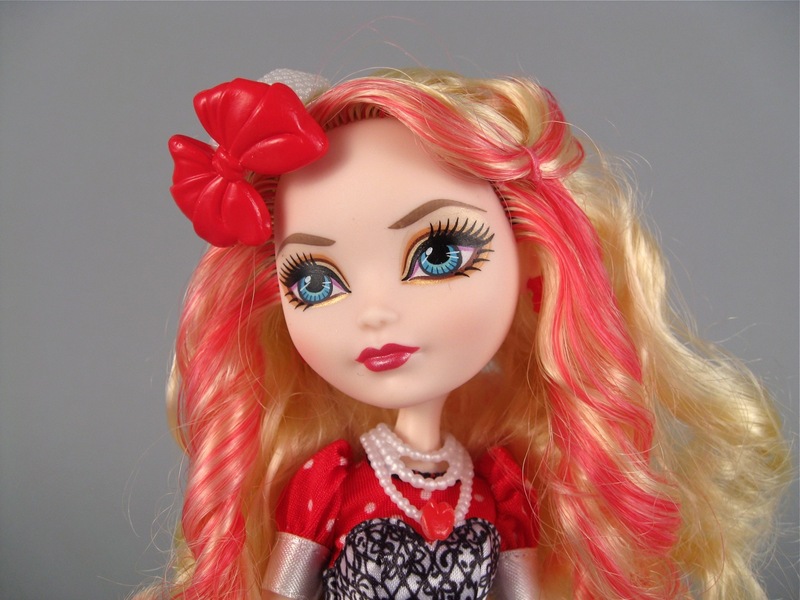 Bratz Dolls by MGA Entertainment--A Guest Overview! Bratz dolls were introduced in 2001 by MGA Entertainment (makers of Lalaloopsy, BFC Ink dolls, Novi Stars, Mooshka, and of course the Bratzillaz). The Bratz brand has suffered considerable controversy over the last decade, including multiple criticisms of the dolls' image, and a drawn-out copyright lawsuit with Mattel. Recently, an announcement was made that MGA will suspend Bratz production during 2014 in order to re-style the brand and improve quality. 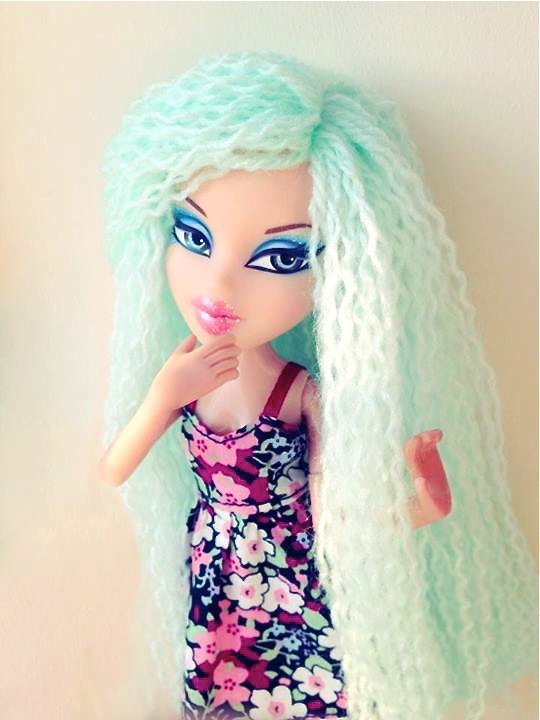 The dolls are slated for a 2015 re-release, and I have to say that even though I have never been a huge fan of Bratz dolls myself, I am curious to see what MGA has planned. Following up on my earlier review of Hat-Tastic Party Apple White, here's the rest of my Ever After High weekend extravaganza! 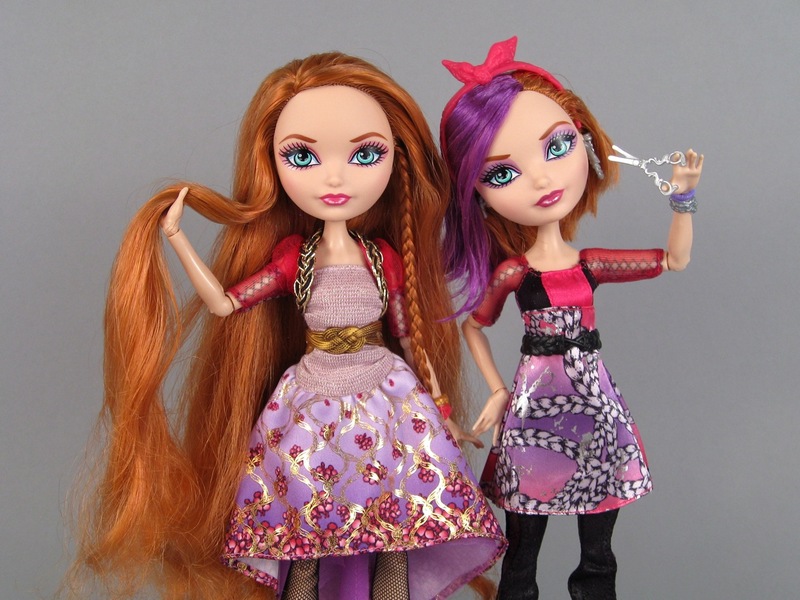 Holly and Poppy O'Hair are Ever After High characters meant to be the twin daughters of Rapunzel. Rapunzel is one of my all-time favorite fairy tale princesses (second only to Cinderella...) so that made this set desirable no matter what, but the extra-wonderful thing about these twins is that they have red hair. One of the girls, Holly, follows in her mother's footsteps and has really long red hair. What I think is interesting here is that the original Rapunzel story ends with the prince climbing the tower only to find that Rapunzel is gone. He doesn't reunite with Rapunzel until years later, when he finds her in the forest--wandering around with her twins. These twins are a boy and a girl, but I like how the twin Ever After High dolls give a subtle nod to the Grimm brothers' tale. Right now, the Holly and Poppy set is hard to find (*update: in stock at Target.com!). I was fortunate enough to get one from Amazon before the regular stock sold out. I paid $34.99, but the secondary vendors have marked them up to $70. I'm sure they will come back in stock, as there haven't really been any consistently rare Ever After High dolls so far. Ever After High's Holly O'Hair and Poppy O'Hair, $34.99. Mattel has been busy lately. Not only are the first Freaky Fusion and Zombie Shake Monster High dolls on the shelves, but there are several exciting new Ever After High releases, too. As if Pinocchio's wonderfully wooden daughter Cedar wasn't enough, both the Hat-Tastic Party lineup and Rapunzel's twins have recently started appearing online and in stores. Initially, I intended to review only Hat-Tastic Apple White this week, because a friend gave me some wonderful custom clothes that I thought would look great on her. However, in the midst of that review, my Holly and Poppy O'Hair arrived, and I couldn't wait to get them out of their box! Ever After High's Hat-Tastic Party Apple White. I don't have to tell you how excited I am about one of the newest Monster High characters, the Freaky Fusion centaur, Avea Trotter. I love how so many of you knew that this would be the perfect doll for me, and sent me links and tips when she was released--thank you! The Freaky Fusion collection is small (so far...), but awesome. The first releases are three hybrid monsters based on characters from an upcoming DVD. There is Siren von Boo, who is part mermaid and part ghost, Bonita Femur, a mix of skeleton and moth...and Avea Trotter, who is half centaur and half harpy. Bonita is my least favorite, just because I couldn't really figure out what she was supposed to be by looking at her. Siren is gorgeous, with incredible-looking long purple hair, a luminescent torso and a fancy silver tail. But Avea...she is my easy favorite. I'll admit that I have been losing some of my interest in Monster High lately. Many of the newer dolls are great if I look at them individually, but as a group they all blur together. The Freaky Fusion line is a breath of fresh air. All three dolls are complicated and interesting to look at, and Avea stands out from the usual Monster High crowd like a neon sign. She is large, colorful, stylish, freaky, and, in my opinion, exactly the doll Monster High needed to rekindle the magic in this franchise. Freaky Fusion "Avea Trotter," $24.99.